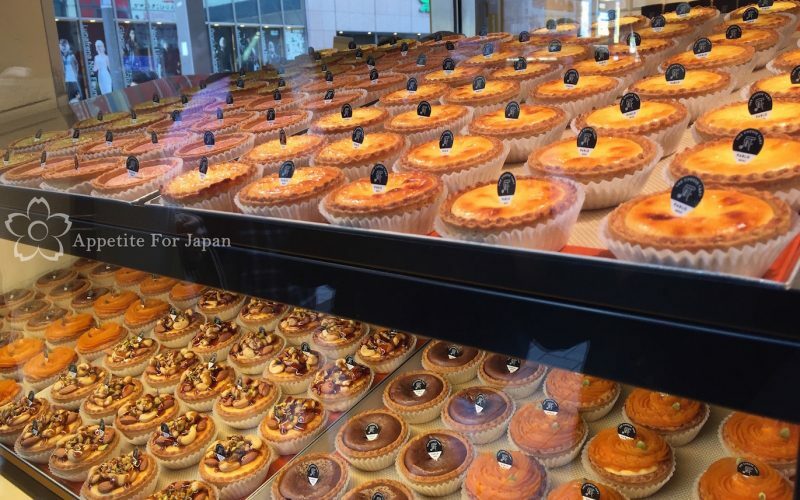 Zaku Zaku (ザクザク) is a store that specialises in their unique cream puffs using fresh ingredients from Hokkaido. We taste-tested the famous croquant chou (クロッカンシュー) and soft serve from the Zaku Zaku store in Harajuku. 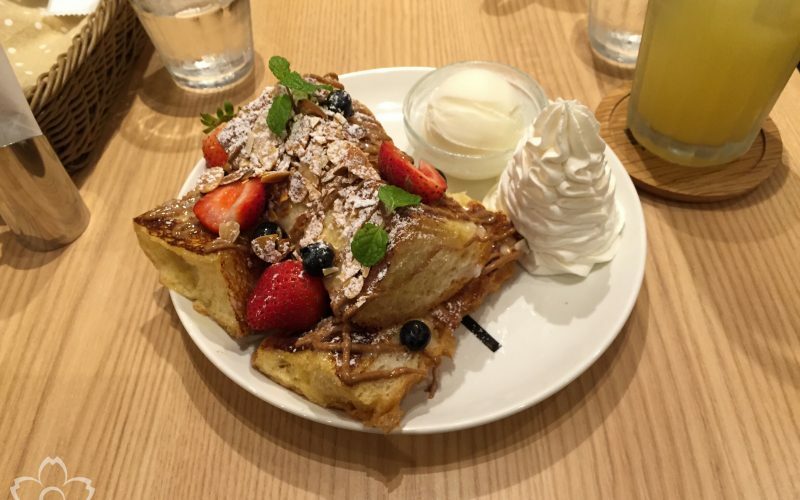 Ivorish is a gourmet French toast restaurant in Japan. You read that correctly: a restaurant that specialises in French toast. We visited the Shibuya branch for their tasty twist on a classic Western breakfast (which, by the way, you can order day and night). 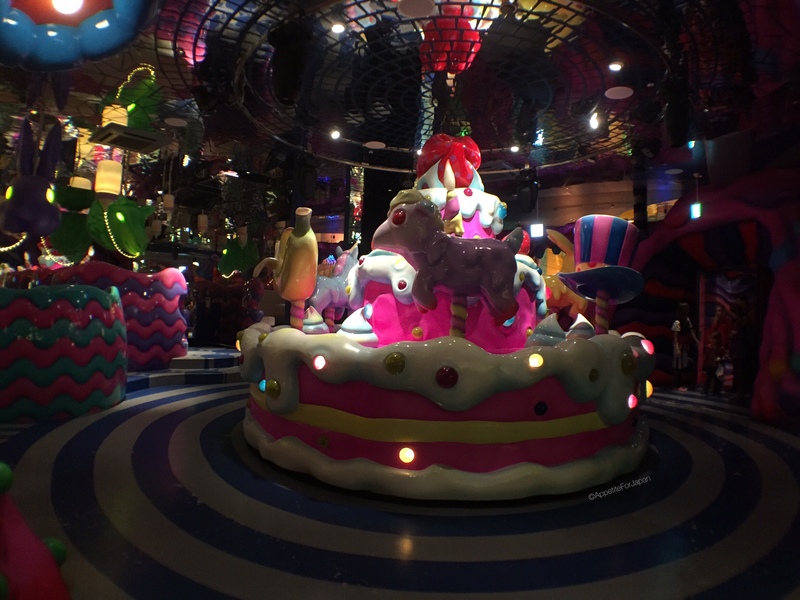 Tokyo’s district of Harajuku (原宿) is famous for many things, not least for its youth culture and over-the-top street fashion. 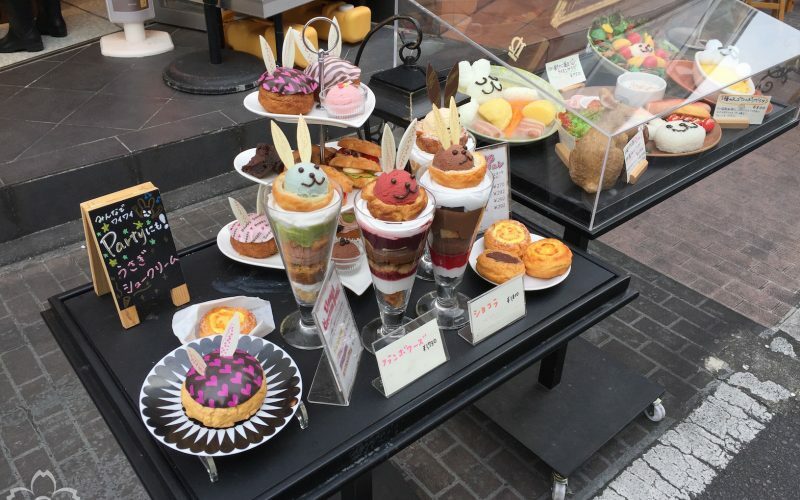 It’s also the place to go for Japanese crepes, a treat that anyone with a sweet tooth must try when visiting Japan. Harajuku’s famous Takeshita Dori (Takeshita Street 竹下通り) is home to many Japanese crepe shops. 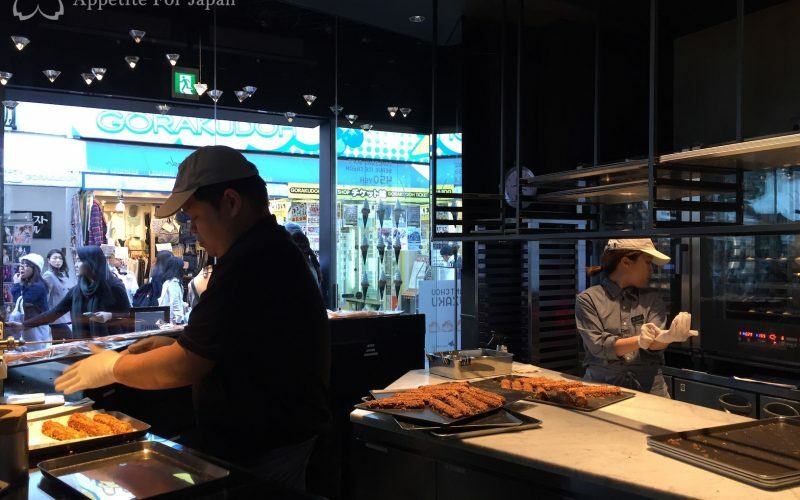 In a quest to find Harajuku’s best crepes, we have reviewed the three most prominent crepe stores in the area. 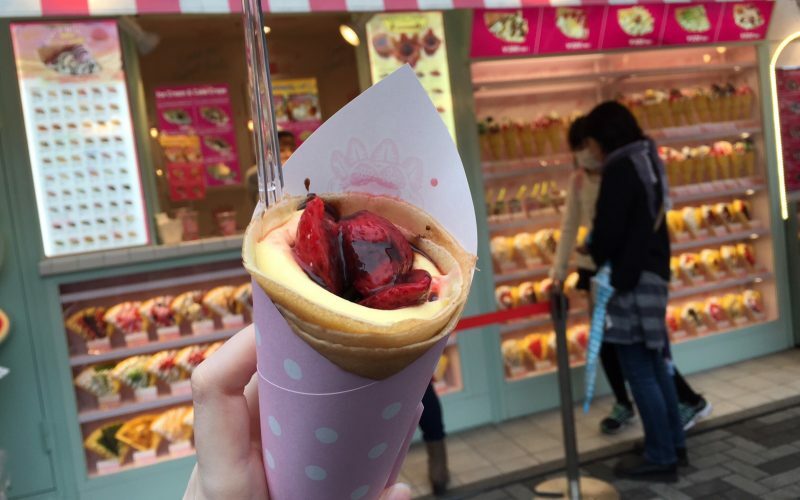 A great tasty treat found around Japan is the Japanese crepe. Shimokitazawa (下北沢), or Shimokita for short, is known as one of Tokyo’s more interesting suburbs, popular with hippies (or hipsters, depending on how you look at it). It’s therefore no surprise that if there’s a crepe shop in Shimokitazawa, it’s going to sell natural crepes. 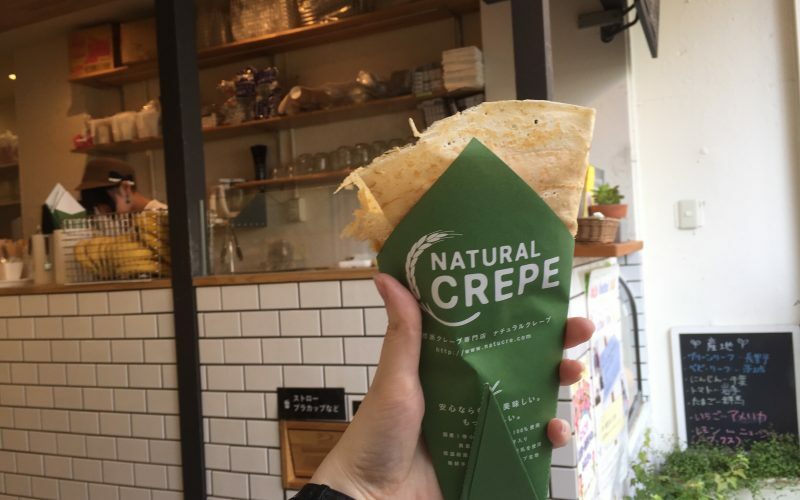 Natural Crepe is a small Japanese crepe chain selling some of the most delicious crepes in Tokyo. 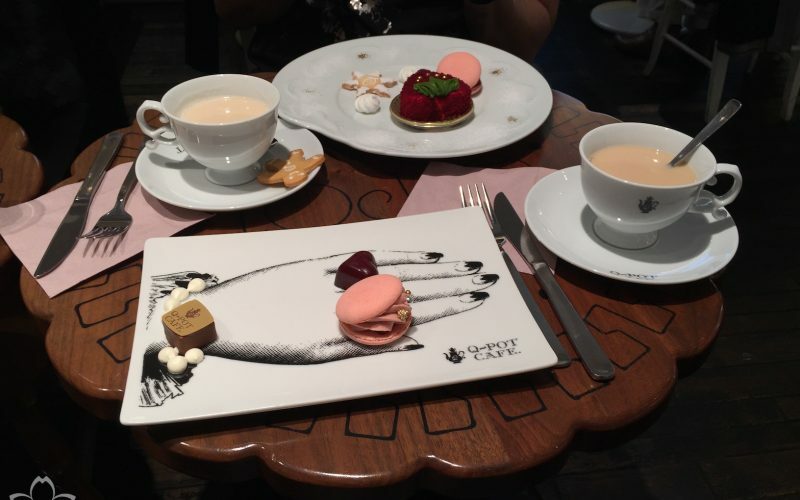 Café de Miki with Hello Kitty is located in Diver City, one of several large shopping centres on the man-made island of Odaiba in Tokyo Bay. 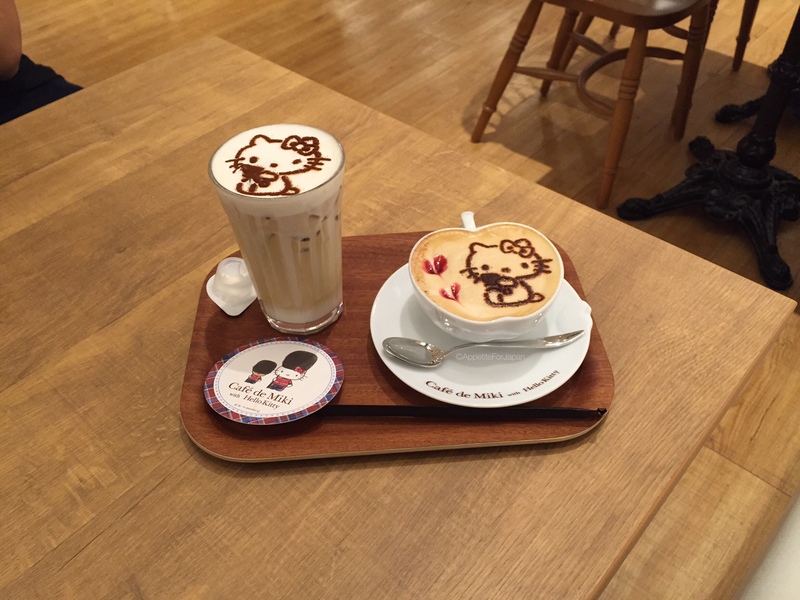 It specialises in a small but tasty range of Hello Kitty themed pancakes, lattes and other Hello Kitty treats. 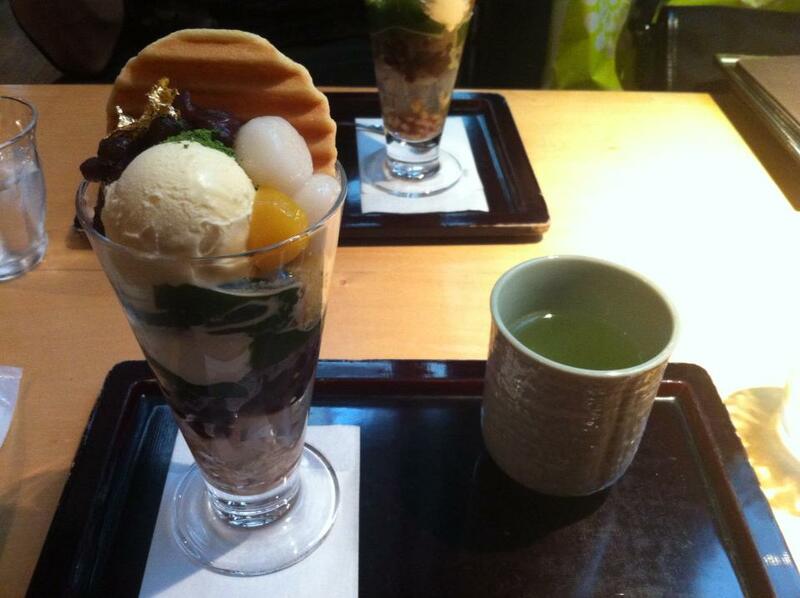 Kogetsu (鼓月) is a Japanese sweet shop and cafe in Kyoto. One of its three stores is located in the beautiful district of Gion, where it is one of several cafes specialising in green tea matcha parfaits.